A court in Lyon, France, ordered Monsanto Thursday to immediately pay Paul François €50,000 ($56,000) for the legal fees he incurred as he fought the company, and said the full amount it would be required to pay him would be announced in an upcoming ruling. François is seeking €1 million ($860,000). François expressed relief at the news of his victory, which came 15 years after he first became ill and 12 years after he took action against Monsanto. 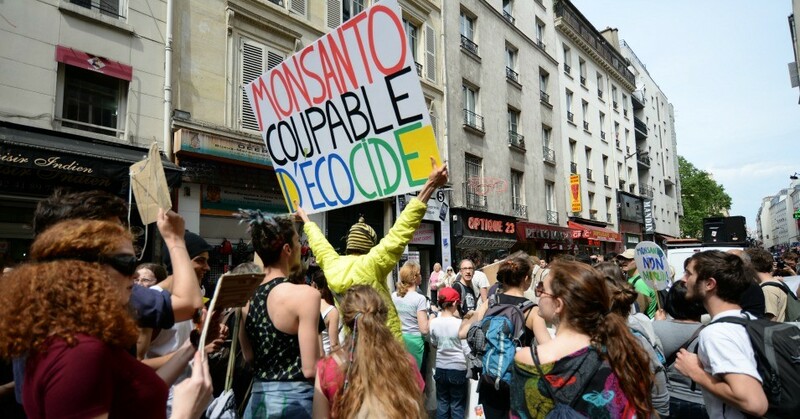 French farmer Paul François speaks of his relief after winning a 12-year battle against US chemicals giant #Monsanto. François began experiencing memory loss, headaches, and fainting in 2004 after accidentally inhaling the Monsanto-made weedkiller Lasso, which contained the chemical monochlorobenzene. Three years later, France made monochlorobenzene illegal and pulled Lasso from the market. Monochlorobenzene had already been outlawed in Canada, Belgium, and the U.K. years earlier, and François argued in his lawsuit that Monsanto knew long before Lasso was pulled from the French market that it was dangerous. The court ruled that Monsanto should have included a warning on Lasso’s label. “Mr. François justifiably concludes that the product, due to its inadequate labeling that did not respect applicable regulations, did not offer the level of safety he could legitimately expect,” the court said. On social media, public health advocates praised the decision. JUST IN: A French court has ruled to hold #Monsanto legally accountable for harming the health of Paul François, a farmer. A huge victory for all victims of pesticides! François’s victory comes after he won previous lawsuits against the company in 2012 and 2015, only to have those decisions appealed. The company said Thursday it expected to appeal the latest ruling. Monsanto faces thousands of lawsuits from people all over the world who say its use of other dangerous chemicals, including the carcinogenic pesticide glyphosate, caused them to develop health problems. Last year, a court in San Francisco delivered the first legal victory against Monsanto regarding its use of dangerous chemicals. The court ordered the company to pay Dewayne Johnson, a groundskeeper, $80 million after he developed non-Hodgkins lymphoma after years of using the weedkiller Roundup, which contains glyphosate.